Hartley Glass Domestic - Showerscreens. 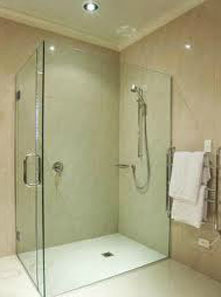 Hartley Glass can replace broken panels in shower cubicles or replace the whole shower screen. Framed or frameless, our experienced installers will improve the look of your bathroom with the latest design in shower screens. Regardless of where you live in Adelaide’s greater metropolitan area Hartley Glass can install or repair your shower screen – just call 1300 26 00 26 for a no obligation measure and quote. Note that if an insurance claim is made for a shower screen, the insurance company will generally cover the replacement cost of a similar shower screen. The difference in price of an upgrade would be paid by the insured. 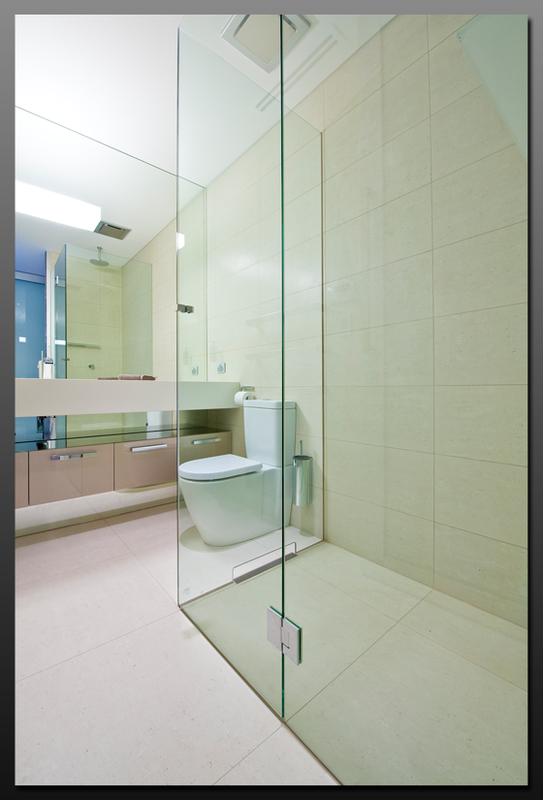 Hartley Glass Showerscreen - Example 6. To book your FREE Measure & Quote, please call our production office on 1300 26 00 26 between 8am and 5pm Monday to Friday and we can book in a time for a glazier to visit you. Alternatively, complete our On-line request and a production manager will be in contact no later than the next business day. 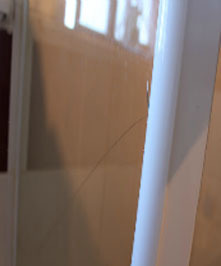 Hartley Glass provides a fast repair or replacement service for your broken glass showerscreen. They can repair broken panels, or replace your existing showerscreen with a design that is more inkeeping with the look and feel of yur home! 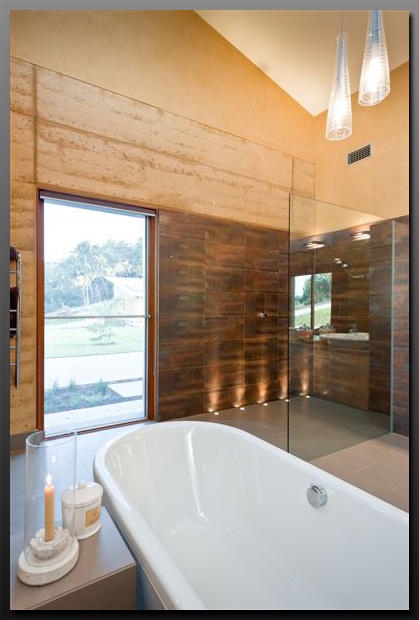 There are many designs and styles to choose from such as framed, semi-frameless and the ultimate........frameless! Our fleet of 16 vehicles are custom designed to carry a wide range of glass, and are equipped with the necessary tools and equipmenmt to replace your showerscreen glass immediately. We have fully qualified glaziers ‘on call’ who are police checked and will respond promptly to repair your broken showerscreen glass. Hartley Glass guarantees a fast & relaible service to all Adelaide and outer Adelaide suburbs. With over 50 years experience, Hartley Glass ensures your glass replacement will be completed in the fastest possible time to minimise any inconvenience. If your broken showerscreen poses a saftey risk, use our emergency glass replacement service, available 24/7. Afterhours callouts will incurr a afterhours callout fee. A broken glass showerscreen is an ideal opportunity to upgrade your showerscreen glass to something more contemporary, or a great excuse to replace the showerscreen with a whole new showercreen combination transformin the look and feel of your bathroom. Book a time now for a FREE measure & quote. Do you have home insurance? Hartley Glass provides an insurance service to replace your showerscreen. CLICK HERE for details. Hartley Glass provides a complete Insurance service for your broken glass showerscreen. Hartley Glass has over 50 years experience and is acknowledged as one of the industy leaders in glass showerscreen replacement services and can lodge claims to all the major insurance companies. As glass replacement is one of the most common types of insurance claims, it becomes a very important part of your insurance policy for your home. Before deciding to make an insurance claim it is important to analyse your situation and how a claim will affect your insurance policy in the future. Many insurance policies are designed to discourage small claims by incorporating an excess, which is to be paid by the insured on every claim. The most common excess amounts would be between one hundred and five hundred dollars but some are even as high as one thousand dollars. Obviously if the value of your showerscreen repair is close to the excess amount it would not be advisable to lodge a claim. Besides having to pay your excess some insurance policies will also penalise you by increasing your yearly premium for the following year. Regardless if you decide to make an insurance claim or not, Hartley Glass will still provide you a fast and reliable service, backed by our 5 year warranty and glazed by industry trained professionals. We handle insurance claims for clients insured by all the major insurance companies. Your choice of showerscreen will depend upon your individual style, budget and more importantly the size and layout of your bathroom. There are 3 styles to choose from in a any configuration required, Framed, Semi-Framed and Frameless. Framed showers screens are fully framed around the perimeter, sides and doors. The frames are made from aluminum and include panels of 6mm toughened glass. The framed shower screen is ideal for those working to a budget within the bathroom. 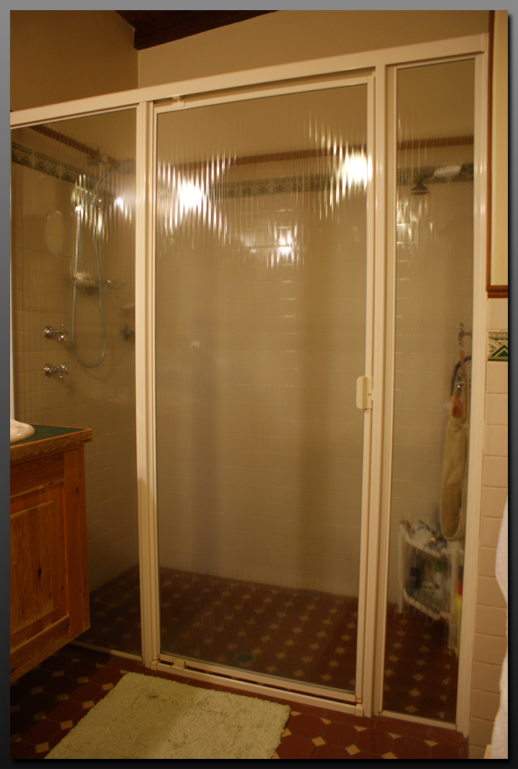 Framed showerscreens are available a pivot door or sliding door and are come in a varirty of colours. 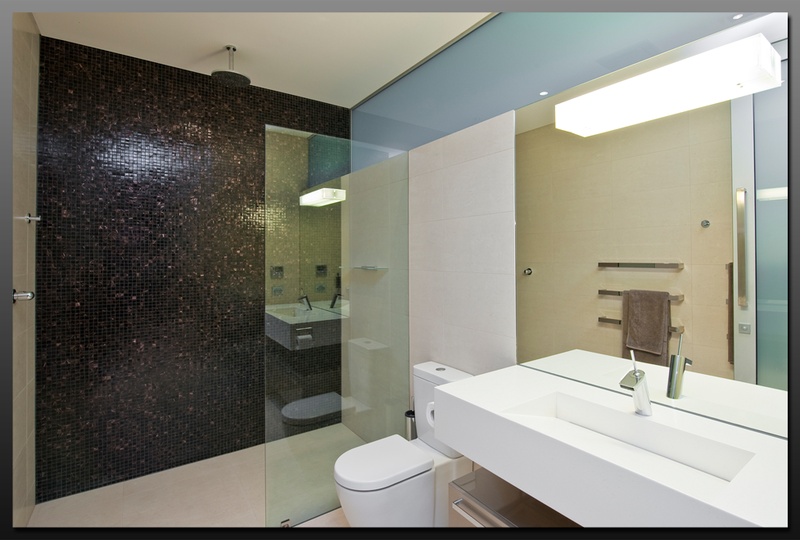 CLICK HERE to find out about Frameless Showerscreens. Hartley Glass provides a FREE measure & quote service, call 1300 26 00 26 or send through a email requeste HERE. 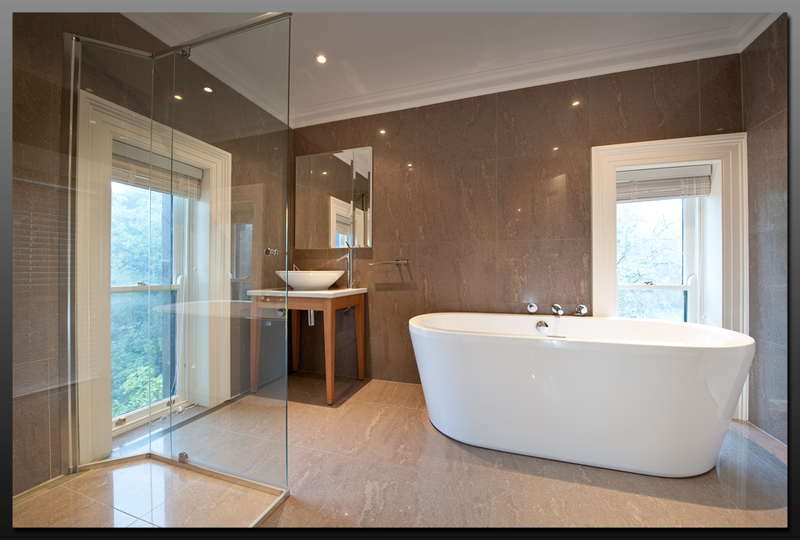 A Framelsss showerscreen is the ultimate in style and adds a level of sophistication to any bathroom. 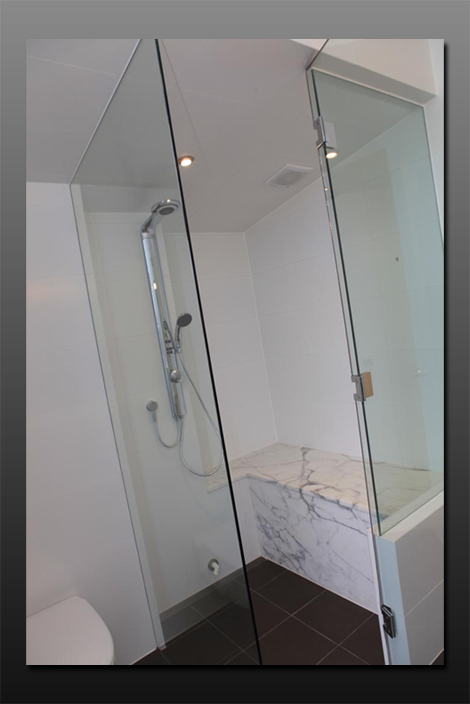 Hartley Glass specialise in fully frameless showerscreens systems. Eliminating heavy and unsightly frames gives your bathroom a modern, spacious feel. Elegant and stylish, Frameless ShowerScreens give your bathroom a contemporary appearance. Innovative in design, this quality product is extremely durable in all conditions. 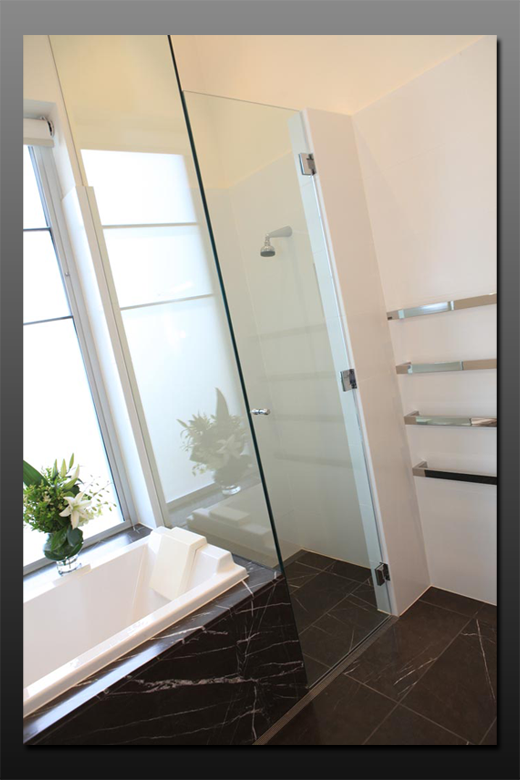 Hartley Glass Framless showerscreens are custom measured and manufactured in-house to our extremely high standards. All of the glass panels are toughened to meet Australian Standards for Grade A Toughened Safety Glass. There is a wide selection of high quality hinges and handles to choose from, ensuring an end result that you desire. A Frameless Showercreen is the ultimate finsh to your bathroom. 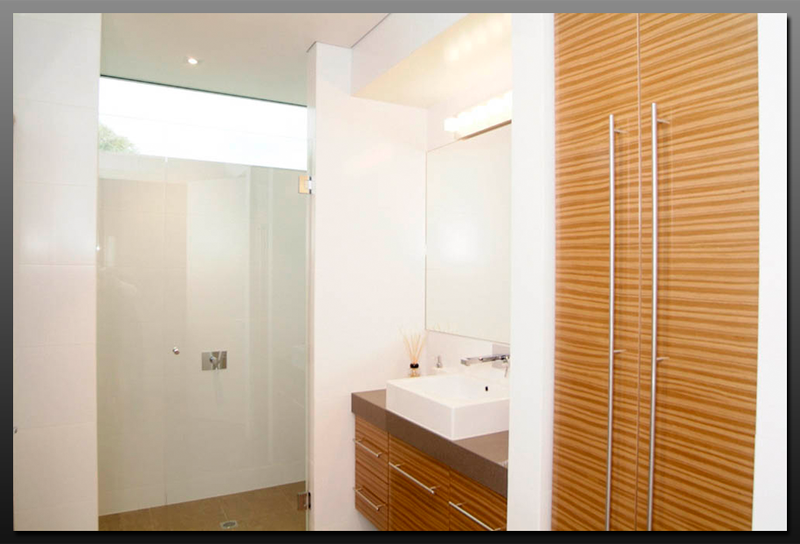 The glass panels give the illusion of space and light, making your bathroom appear larger and less stuffy. They are a hygienic choice for your family as without unnecessary frames, dirt and germs have no place to settle. Water splashing is contained, reducing the risk of slipping on wet floor tiles and Hartley Glass custom-makes all panels to fit your bathroom..........perfectly! 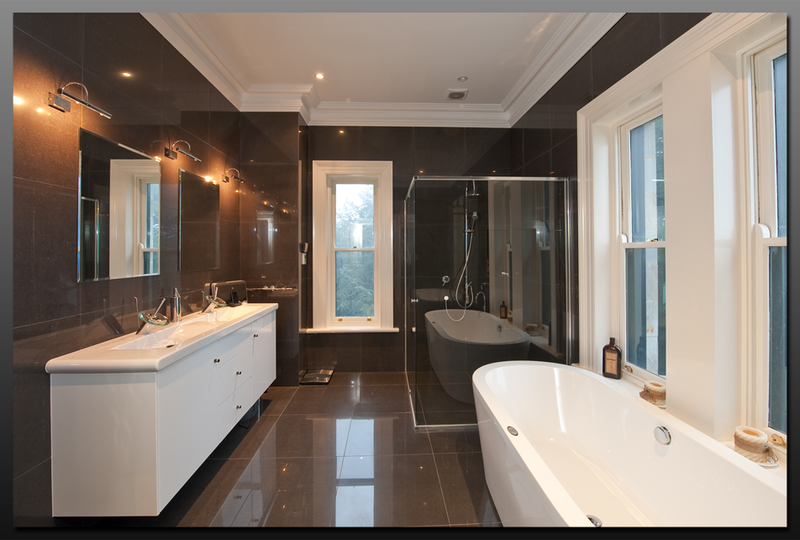 To achieve a truly remarkable transformation of your bathroom, combine your new Frameless showerscreen with coloured Glass Splashbacks and new custom MIrrors to provide you with a bathroom that you will love forever and be proud to show your visitors! Our showerscreens are manufactured from 6mm A-grade toughened saftey glass and fully comply with Australian Standards AS 1288/2006. A-grade toughened saftey glass is 8 times stronger than ordinary glass. Hartley Glass has been manufacturing and installing glass for 57 years which ensures that you will recieve the best quality workmanship and final product as experienced by our thousands of extremely satisfied customers. The expertise and experience of our Glaziers guarantees you will receive not just a tradesman result but the perfect result. All your glass panels are precisely measured by our qualified glaziers, then cut to size using state of the art precision machinery. Once a final quality inspection has occured, our highly skilled industry leading glaziers will arrive at your home and install your showerscreen. All our glaziers have a Police Clearance and are OH&S compliant, so you can be assured that the people you are letting into your home deserve the trust you are placing in them. 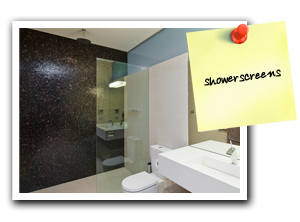 Your new glass showerscreen can be installed as soon as 14 business days from the placement of your order! We will send one of our qualified, police checked glaziers to measure and define your requirements with you, from which we can present you with your quote. Once you accept the quote and place your order, you can expect to see your new showerscreen installed within 14 days!! We provide you with a FULL 5 year peace of mind GUARANTEE! plus issue you a Certificate of Compliance that our work complies with Australian Standards AS1288/2006. Our 5 year guarantee is fully inclusive of the glass manufacture and the workmanship of our glaziers. All our work is carried out in full compliance with Australian Standards and is fully compliant with AS1288/2006. Glass can be a dangerous product therefore all Hartley Glass installations comply with the requirements of Australian Standard AS1288/2006. This standard is regularly updated and requires that glaziers are continously upskilled and have a fundamental understanding of this building code. At Hartley Glass we pride ourselves on safety and see it as our number one priority for both our staff and you. Our CM3 accreditation is testament to our commitment to saftey. All new glass installations must comply with the requirements of the Australian Standard AS1288/2006. In many situations the glass being replaced must be upgraded to safety glass regardless of the original glass type. Our glaziers know the dangers of glass and compliance with this strict building code is at the forefront of their mind when carrying out any glass installation to guarantee you are receiving the correct glass every time. Available to our customers is Certegy ezy-pay's NO INTEREST EVER payment plan. This means you can get your showerscreen fully installed from as little as 10% upfront and easy fortnightly payments. Approval in as little as 5 minutes. Talk to our team today about Certegy’s NO INTEREST EVER payment plan. We will take care of the application for you so you can get your glass showerscreen installed as quickly & conveniently as possible!